Bedtime for Baby Girl, © 2013 by Gina Marie Lazar Lovrencevic. Huge Rossetti fan here…I’m trying to find time to attend the Pre-Raphaelite painting and drawing exhibit that’s currently on in DC. His poems are equally as powerful. And your boxer is adorable! 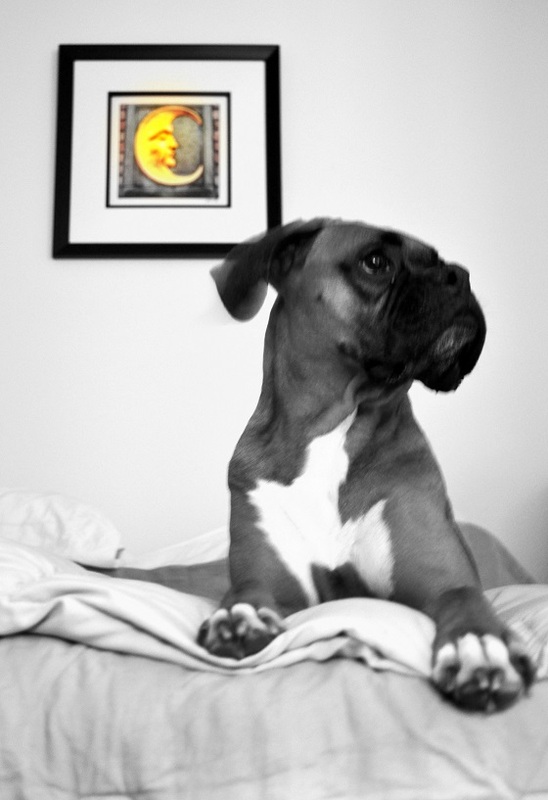 Also, Baby Girl the Boxer appreciates your compliment. Wow beautiful and I love the picture, it is so dreamy!! Thanks, Ilona. I’m mildly obsessed with the poem. 🙂 I love the rhythm and the cadence of his words.